Congressman Peter Roskam introduces legislation, backed by 171 co-sponsors, which condemns the deal with Iran. 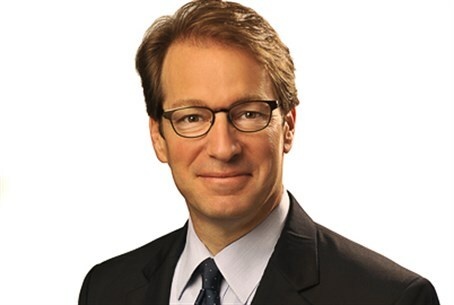 Congressman Peter Roskam (IL-06), co-chair of the House Republican Israel Caucus, on Friday introduced legislation expressing the sense of the House of Representatives in disapproval of the deal agreed to by the six world powers and Iran. The resolution, H. Res. 367, which is backed by 171 co-sponsors, including 14 of 22 House committee chairmen, is intended to build support for an expected vote on a formal joint resolution of disapproval in September. “This agreement fails on every level to ensure Iran never acquires a nuclear weapons capability. Tehran is allowed to keep much of its nuclear infrastructure intact and rewarded a $150 billion cash infusion from sanctions relief,” warned Roskam. “The so-called ‘anytime, anywhere’ inspections regime in reality provides Iran nearly a month's notice on inspections. And, in an unprecedented last-minute concession, the UN arms embargo and ban on ballistic missiles will be lifted in just a few short years,” he continued. “This is a bad deal, and it must be stopped,” said Roskam, adding, “My legislation sets the stage for the 60-day lead up to a vote on this agreement by allowing Members to express their disapproval of the accord. The unprecedented outpouring of support for this resolution proves that Congress will not rubber-stamp a deal that severely threatens the United States and our allies by paving Iran's path to a bomb." Several American legislators have warned against the deal with Iran. A Republican Senator in the Senate Foreign Relations Committee made clear this week that American legislators are considering imposing further sanctions on Iran, despite the agreement. "All options are on the table," the Senator told news site The Hill, including placing new economic sanctions on Iran. A law signed by Obama in May gives Congress the power to review and potentially reject a nuclear deal with Iran, but in spite of his willingness to allow Congress to debate the agreement, Obama has asserted it would be "irresponsible" to object to the deal and maintained he would veto any attempts to torpedo it.